Towards a new world ! In 2019, we’re heading for the “new world”, exploring the wide open spaces of North America. North America harbours vast expanses of wildlife, great plains, huge forests and lakes. These landscapes hold a fascination that bridges the gap between the old world of Europe and America, the new world where everything is possible, including living at one with nature. The “new world” at Sainte Croix is a new 8.5 hectare enclosure, home to bison, black bears, coyotes, raccoons, wild turkeys, prairie dogs, porcupines and skunks. 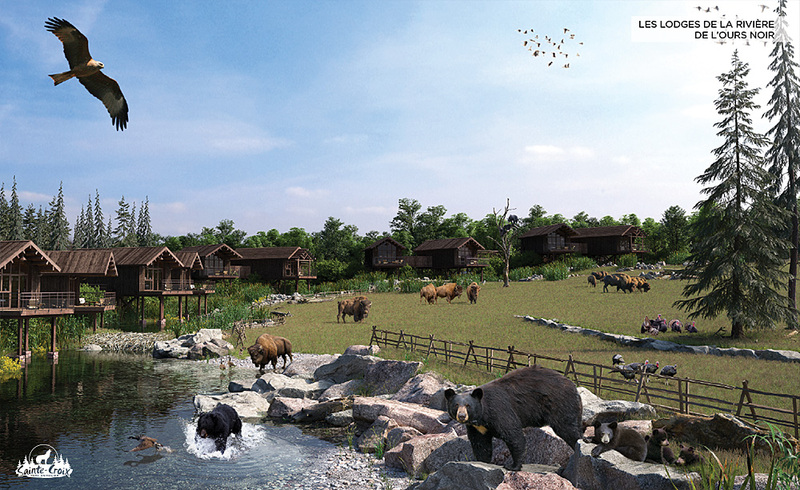 Our New World will include a themed restaurant, a large play area and two new types of lodge to sleep close to the animals, plus a reception area for all lodges in the park. To the south, American bison, black bears and wild turkeys (forebears of the domestic turkey) inhabit the great plain. The plain is bordered by the Black Bear river, where the lodges overhang the water. To the north, a family of black bears share the small plain with a coyote pack. You may also spot raccoons, North American porcupines, skunks and enter the territory of a colony of prairie dogs. 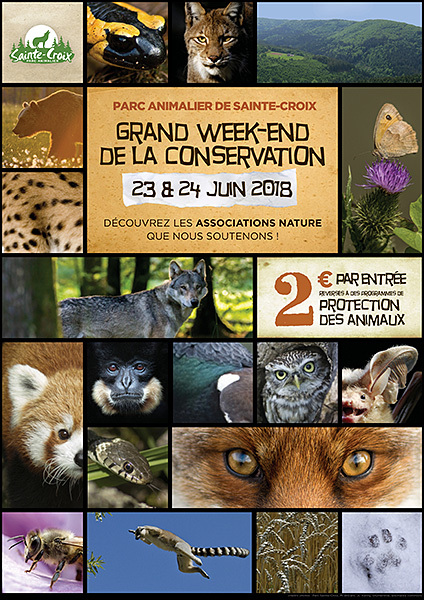 Sainte-Croix offers accommodation in 18 nature lodges. Next year, we will be adding a further ten lodges in the “New World” area and a reception area for all lodge guests. – La Grange, a vintage-style loft with 11 rooms for 4 people with views of the black bears, coyotes and cheeky raccoons. We, the human race, take over wild habitats and exploit them, more or less wisely, sometimes annihilating whole eco-systems in the process. But things can change. The monumental sculptures of American artist John Lopez show how manmade objects can take on a new lease of life. His bison sculpture for Sainte-Croix is made of reclaimed objects from the American frontier, “Wild West” era. A fitting tribute to the King of the prairie. Sustainability is the watchword for this new area, from the design stage to day-to-day running. The electricity is provided by renewable sources and therefore totally eco-responsible. Solar panels provide hot water for the Grange and several lodges. These steps are in line with the zero waste policy we introduced in 2016. We sort all waste and encourage visitors to play an active part in saving the planet. 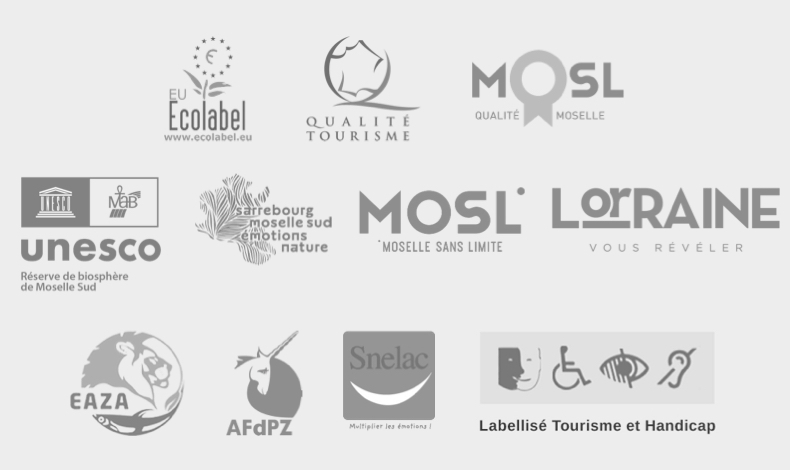 We have applied for the European ecolabel for all our accommodation. 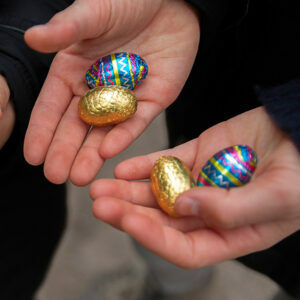 Sainte-Croix launches the new season in style with a host of events for all the family: shows, bottle-feeding lambs, sheep sheering, decoration workshops, and the great Easter Egg hunt. 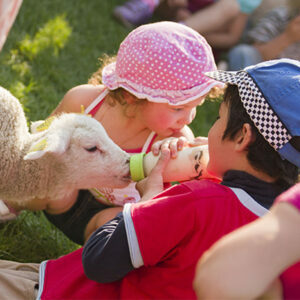 Spring at Sainte-Croix is about feeding lambs, make-up sessions and fun for all. Our spring treasure hunt is a great way to visit the park and there’s a family season ticket up for grabs. Come and uncover the secrets of animal communication. 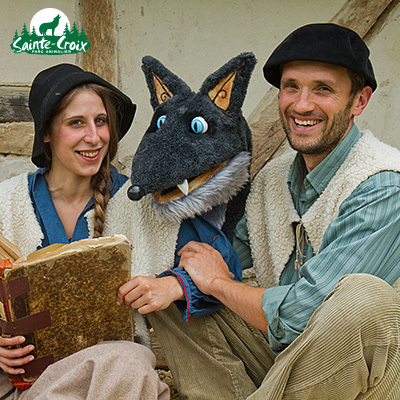 Take part in workshops and experiments to learn the languages used among wild and domestic species. 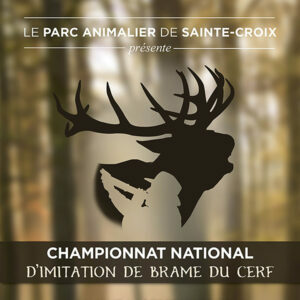 For the sixth time, Sainte-Croix has teamed up with the local association of hunters to organise the national deer belling imitation or bolving, competition. Don’t miss the noisy, eccentric event! 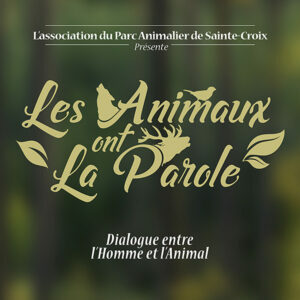 Discarded antlers will be on sale and proceeds donated to the Sainte-Croix fund for biodiversity. 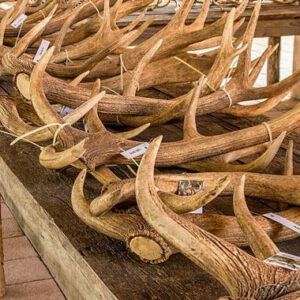 We collect discarded antlers of our stags after the annual rutting season and organise a sale in aid of biodiversity via our foundation. 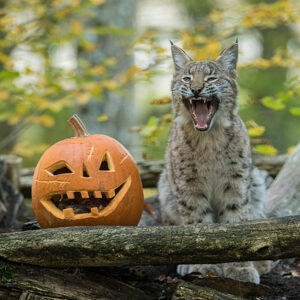 An outstanding annual event in the wildlife calendar. 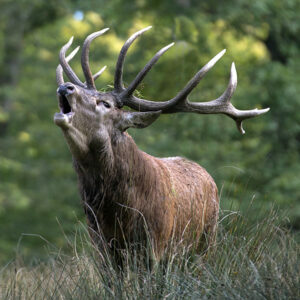 Sainte-Croix is ranked among the top ten best places to observe a deer rut. Come and admire the mating ceremonial of our 60-strong herd in its superb environment. Join us for a morning or evening observation session, a photographer shoot or overnight camp. Come and visit the park during the school holidays and take part in the spine-tingling celebrations with our homegrown monsters. Don’t miss the ghoulish fun!